I have known both Kazue Sawai and Satsuki Odamura for over two decades and have played with them on many occasions. I have great admiration for their musical abilities, but even more so, I have deep respect for the incredible dedication they show towards their chosen art form. 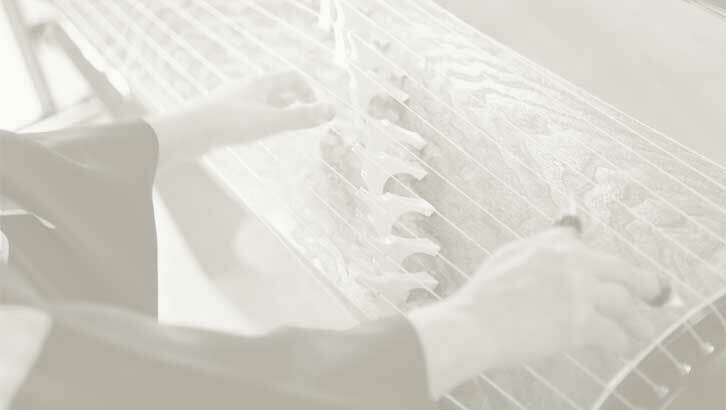 Needless to say, I was thrilled and incredibly honoured when invited to compose this piece to celebrate the 25th Anniversary of the Sawai International Koto School in Australia. Why The Silver Pavilion? Ginkakuji (Silver Pavilion) in Kyoto is a splendid place that is “quietly beautiful”, lending itself to contemplation and meditation, and apart from it providing me with an evocative image, the two words express something about the source of the work’s inspiration. A pavilion is a large, ornamental building placed at the centre, not unlike the Sawai Koto School, which is an important, world-renowned cultural organization. And as for silver… what present does one give on a 25th Anniversary? Silver, of course!